Come join the Passport Across Cultures! There will be a special showing of The Peace Experience at 4 PM. 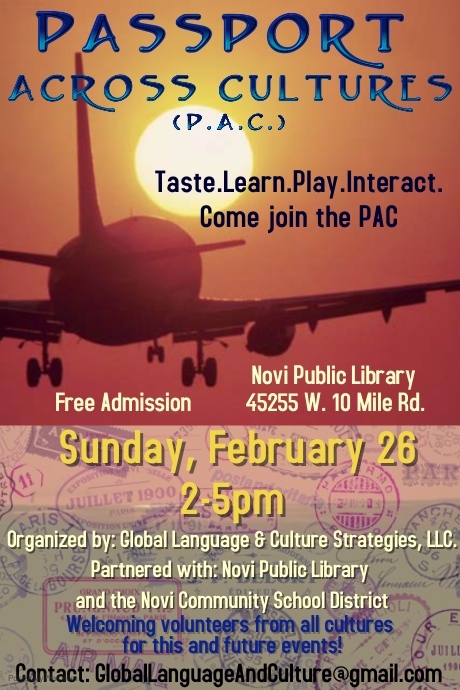 at Novi Public Library, 45255 W. 10 Mile Rd. Organized by: Global Language & Culture Strategies, LLC. Welcoming volunteers from all cultures for this and future events!